Situated in Chawston, Bedfordshire where market gardens are abundant and growing delicious vegetables is simply a way of life. Edible Ornamentals are passionate, slightly obsessive chilli growers. 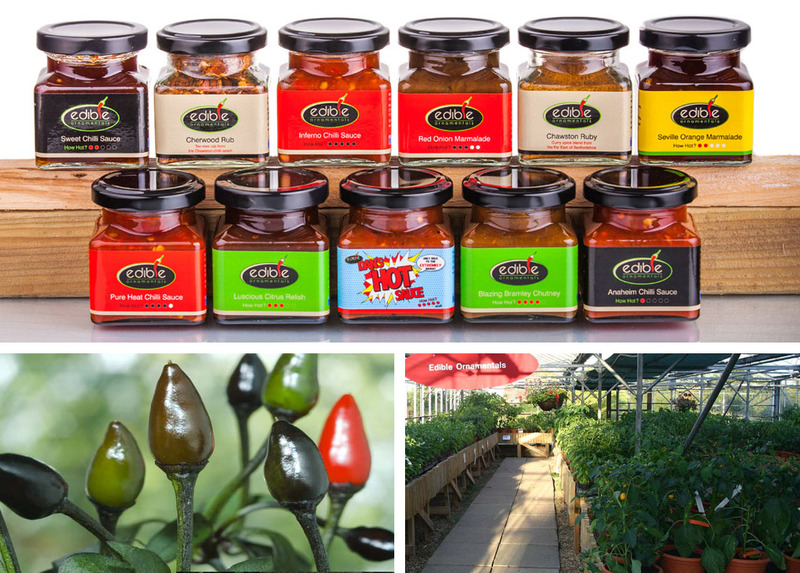 Edible Ornamentals grow fresh chillies, stunning chilli plants and create mouth watering fiery sauces. The ethos is simple: Growing and cooking with skill and passion. No compromises. During the summer months, visitors can pick some fresh chillies and have a light snack at their Edible Kitchen. Indulge yourself at the cookery school where you’ll learn to cook that special dish. 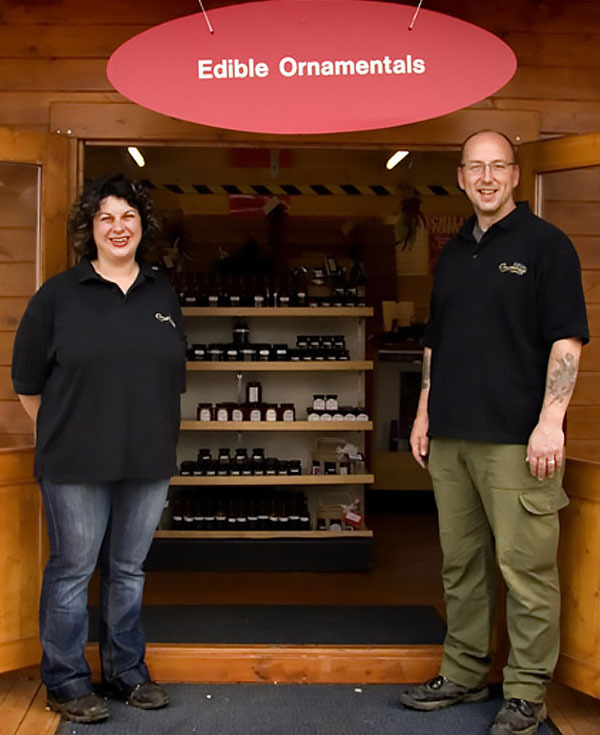 Edible Ornamentals also sell their products at exclusive farmers markets, food and wine shows, and garden shows throughout the United Kingdom. For a full list of farmers’ markets and events they attend, visit their website. A brief history and the evolution of curries to creating simple flavour packed dishes to easily recreate at home. As you create your own curry the chef will assist and guide you while also preparing some delicious sides to enjoy as a meal at the end. The skills covered are; understanding chillies, types of curries, spices & sides, creating your own curry flavour combinations, balancing heat & flavour, chef’s shortcuts & tips. An experience like no other; a fusion of chilli and drink. 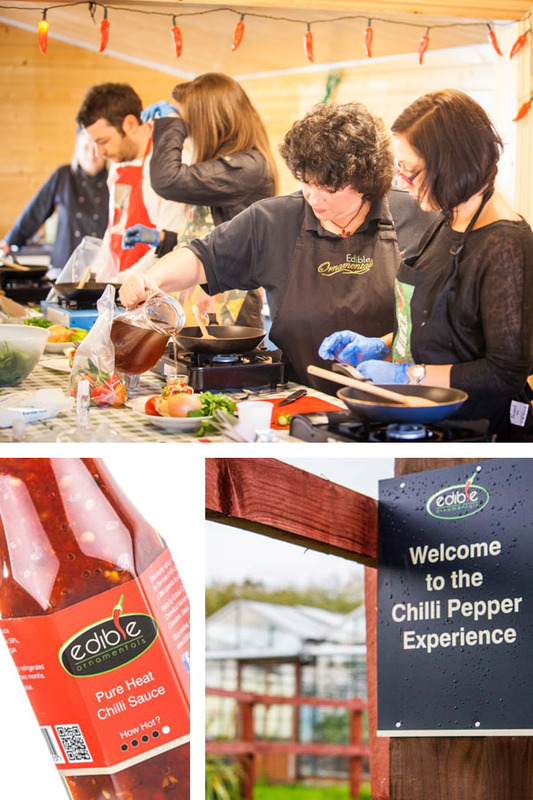 Edible Ornamentals bring you ‘The Chilli Cocktail Experience’. During your visit to the Chilli Ranch you’ll learn about adding a depth of flavour to your alcoholic and non-alcoholic cocktails, some with a little heat. A brief tasting session of freshly picked chillies starts the experience before adventuring into sampling a selection of over 10 cocktails from a Chilli Mojito to a Chilli Iced Tea and many in between. Your palate will be taken on a roller coaster ride of fresh flavours and surprising results. The session begins with a short discussion on the characteristics of chilli peppers. then enjoy a short tour of the nursery. Select some fresh, dried, smoked or maybe even frozen chillies for use in selected recipes. You’ll cook-along together three chilli-inspired dishes that you can take home and enjoy. The session ends with a tasting session of gourmet chilli products and fresh chillies in the restaurant. The Chilli Growers Workshop last for two hours where you’ll learn everything there is to know about chillies. From sowing seed to over wintering, from growing in soil to growing hydroponically. Join this workshop and leave being a chilli farmer.